HubSpot also recommends this 2018 Instagram for business guide. Did you know an Instagram post with at least one hashtag averages 12.6% more engagement than a post with no hashtags? Hashtags are powerful. They can help your posts reach a target audience, attract followers in your niche, increase engagement, and develop a more positive and recognizable brand image. Here's the thing, though: with great power comes great responsibility (#spiderman). Hashtags can skyrocket your business to new heights, but if used too frequently or without a clear strategy in mind, they become pointless and inefficient, e.g. : #happy #superhappy #ecstatic #jumpingforjoy #whatsanothersynonym. We want your business's Instagram posts to receive optimal engagement, so we've put together an ultimate guide for using Instagram hashtags in 2018. 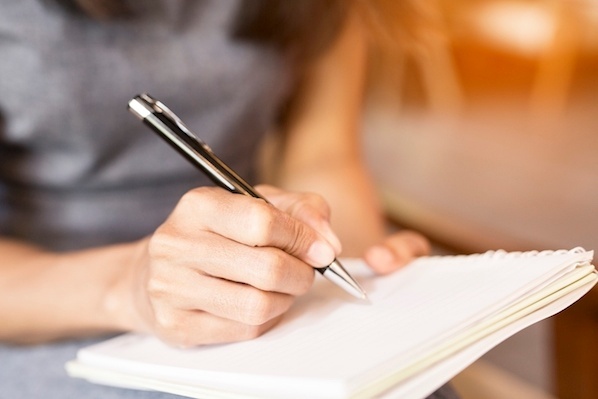 With this guide, you won't just attract followers -- you'll attract the right followers. Hashtags are essentially Instagram's sorting process. 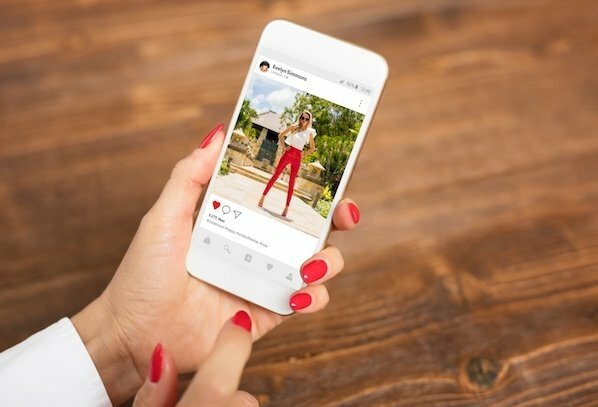 With around 95 million photos posted on Instagram every day, it's difficult for Instagram to efficiently deliver the right content to the right people. Hashtags help your post get discovered by viewers most interested in seeing it. 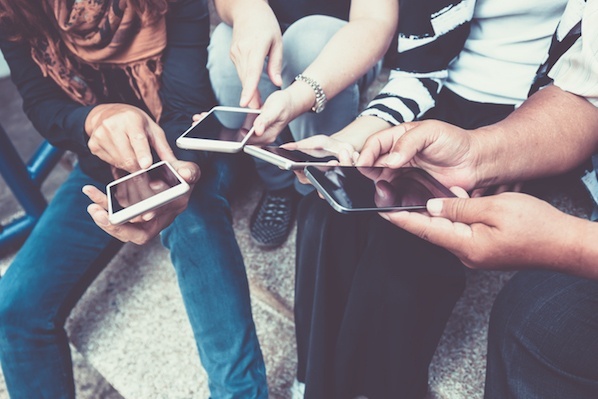 Krystal Gillespie, HubSpot's Social Media Community Manager, explains the importance of hashtags this way: "Hashtags are like a funnel. For instance, #marketing is incredibly broad and attracts all types of posts. We've found #digitalmarketing or #marketingmotivation gives us a more specific, targeted reach. The audience searching for these hashtags are also trying to narrow their search to what we offer related to Marketing, so we're actually reaching more of the right people." Essentially, hashtags are a better way to categorize your posts. They help you reach a target audience, and more importantly, they help your target audience find you. These users are more likely to engage with your post because your post is exactly what they wanted. Adding one of the most popular Instagram hashtags to your post doesn't necessarily mean you'll see more interaction. Since the hashtags above are so popular, they are being used by millions of people, so your post will most likely be obscured by the competition. Narrowing your hashtag topic is important, but we'll get to that next. Here are some of the top Instagram hashtags of 2018. Instagram users build their photo galleries on good feelings. For this reason, the #love hashtag is ever present next to the pics of friends, family, vacations, and beautiful scenery. Occurrences of this hashtag are inspired by the @instagood Instagram account, which scours the Instagram community for excellent photos and videos that are just too #instagood not to share. Add this hashtag to your content for a chance to be reposted. This is the quintessential selfie hashtag, indicating to the Instagram community that the photo it's captioning is a picture of you. #Cute puts your content in a pool of Instagram photos and videos that elicit "awes" from all over the Instaverse. If you think your puppy is the cutest puppy that ever lived, it deserves a photo with this esteemed hashtag. #Tbt stands for "Throwback Thursday," and encourages Instagram users to post an old photo of themselves or an event they're reminiscing over. Everyone likes content from the good old days -- here's your hashtag for enjoying the nostalgia. Managing a business account? This hashtag is a surefire way to attract more followers and repeat visitors. If you plan to post daily content, all around a common theme, add the #photooftheday hashtag to increase your exposure. #Instamood is all about the vibe or emotion a photo or video elicits. Pretty scenery, a day at the beach, or a night out with good people were all prominent under the #instamood hashtag in 2018. Landscapes are a popular starting point when figuring out what to post on Instagram, according to Jumper Media, and they fit into this hashtag perfectly. #Iphonesia is dedicated to the burgeoning community of Instagrammers in Indonesia. Meal pics are the bread and butter (no pun intended) of a people-oriented Instagram account -- and 2018 was no exception. Use the #food hashtag to caption your next delicious Instagram photo. On Twitter, #MondayMotivation encourages inspiring quotes and messages to help people start the week off on the right foot. On Instagram, the #motivation hashtag has come to caption anything from a photo of a user after a big gym session, to a computer screen right before he or she gets to work. The above 10 hashtags might have helped define Instagram over the last year, but there are still plenty more that end up trending every year. The following hashtags can help inspire photos and videos that Instagram users always seem to find captivating -- and are sure to in 2019. This one goes out to all the photos and videos that encompass the essence of your life. Away for the weekend? Show your followers where you are, using this hashtag to indicate you're traveling somewhere new. Get in on a trending community of workout warriors with photos and videos from your best exercise sessions, using the #fitness hashtag to share the moment. Reposting is a common function on Instagram that allows you to share content from other users, with credit back to the original user. Use the hashtag, #repost, to tell others on Instagram that you were inspired by this photo or video. #Igers is short for "Instagram users." If you've got a photo or video that encompasses the Instagram community, show your solidarity with this colloquial hashtag. This hashtag is similar to #photooftheday -- one of the most popular hashtags of 2018 above this list -- and is perfect for Instagrammers who post every day. Interested in building a fast list of followers on Instagram? #Followforfollow tells everyone who browses this hashtag that you'll follow users who choose to follow you. This hashtag is always trending highly. #Likeforlike is similar to the #followforfollow hashtag explained above. Use this hashtag if you want to increase engagement on your Instagram account, telling users that you'll like their photo or video if they like yours. Instagram offers so many different filters to help enhance photos, it's practically assumed that any picture on Instagram has been edited. But if you're posting a pic that was beautiful all by itself, let the world know that this gem didn't need a filter to look so nice. #Ootd stands for "Outfit of the Day," a hashtag dedicated to Instagram users who love showing off new clothing and styles on a regular basis. #Fashion is a fairly self-explanatory hashtag. Fashion brands and clothing models alike are some of the most prolific users of this hashtag. If it's not fun, it's not Instagram-worthy. Make it known to millions of Instagram users that you had a blast in your latest photo or video with this popular hashtag. Figure out your magic number. Research what other people are hashtagging. Create a brand campaign hashtag. 1. Keep your hashtags organized. To create an efficient hashtag system, you can use Excel or an Instagram analytics tool. If you choose an excel sheet, you'll need to manually keep track of which hashtags you use, how often, and which ones correlate to your most popular posts. Over time, you'll see relationships between certain hashtags and your most popular posts, and this can help you decide which hashtags work best for your brand. If you have a more advanced social media team, you might want to consider a tool like Iconosquare, which automatically stores top hashtags and provides reports on which hashtags reach the most people. For smaller businesses with limited budgets, Krystal Gillespie says that, "an excel sheet is the best way to start. Once you get more advanced I would highly recommend using a tool to track the data. A manual system can get overwhelming when you're posting three times a day and using about 20 hashtags per post." 2. Figure out your magic number. Most top brands -- 91% of them, to be exact -- use seven or fewer hashtags per post, so it's easy to assume that's the magic number for everyone … right? Krystal explains that this isn't always the case: She told me HubSpot has been more successful with hashtags ranging in the low 20s. The point is, you can't know how many hashtags work best for you until you test it. For HubSpot, it took the team several months to find a number that worked best, and during our trial period, we ranged from seven to 30. Give yourself the same flexibility for trial and error. There are two big reasons more specific, smaller-volume hashtags are better for your brand: first, you can compete in a smaller pool. HubSpot, for example, doesn't typically use the hashtag #marketing because it's too broad. If you search #marketing, you'll find pictures of restaurants, inspirational quotes, before-and-after hair style pictures, and memes. The randomness of #marketing leads me to the second reason specific hashtags are a good idea: as a user, I'm more likely to find what I need if I search for something specific, and when your business comes up for my specific search request, I'm more likely to be happy with what I found. Krystal explains: "Keeping a hashtag close to the interests of your brand really helps. We try to use hashtags tailored for a specific topic and then narrow it down further -- for instance, we'd use #SEOTips if our marketing post was mostly about SEO." Think of it this way: #dogs is more popular, but it has a wide demographic. If I search #goldenretrieverpuppies and I find your post, I'm more likely to engage with it because it's exactly what I wanted. 4. Research what other people are hashtagging. An easy way to generate hashtag ideas is to make a list of your followers or competitors and research what they're hashtagging on their own photos. 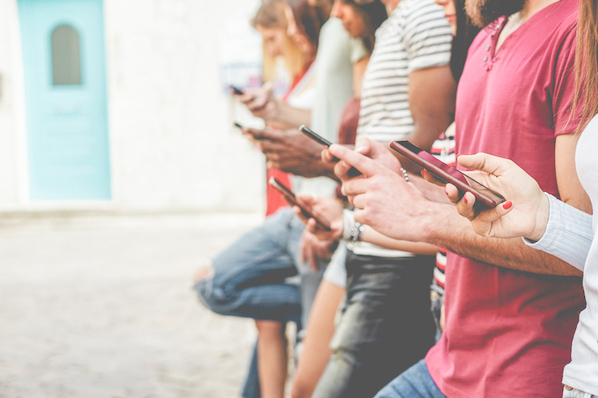 It can also be particularly helpful to research what influencers in your industry are hashtagging -- by definition, influencers are people with a large social media following, so they must be doing something right. 5. Test out related hashtags. When you type a hashtag into Instagram's search bar, Instagram shows you related hashtags in the scroll-down menu. Instagram also delivers related hashtags on the next page after you click on a hashtag. This is a simple way to create a longer list of hashtags to try out. 6. Follow your own hashtag. Another way to use Instagram hashtags for your marketing purposes is to follow your own hashtag. 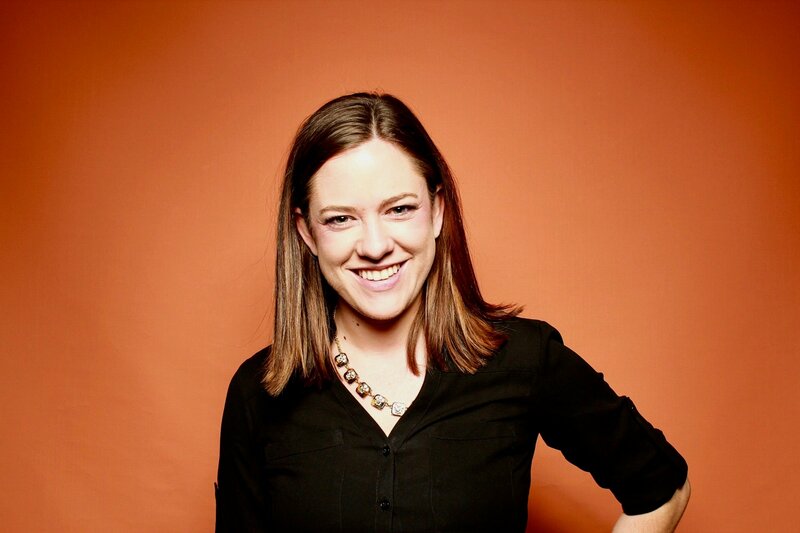 Krystal explains, "On Instagram I actually follow the hashtag #hubspot so I can find anyone who talks about us and connect with them. As long as your account isn't private, people will be able to find you via the hashtag." Following your own hashtag is an effective way to engage with other people talking about your brand and develop better relationships with them. 7. Create a brand campaign hashtag. This is the trickiest item on the list, but if done successfully, it can pay off big time. Some businesses have successfully attracted followers by creating their own campaign hashtag. A campaign hashtag needs to be funny, clever, or at least memorable in order to work. Campaign hashtags are particularly useful for promoting a new product or upcoming event, or even just inspiring people. Red Bull, for example, encouraged followers to post Red Bull pictures with a #putacanonit hashtag (see what I mean about clever?). LuLuLemon, rather than running a more traditional ad campaign, developed a positive connotation for their brand by asking followers to post real, active pictures of themselves with a #sweatlife hashtag. To search hashtags on Instagram, tap the magnifying glass at the bottom of your screen, then tap the search bar at the top. Selecting the "Tags" option will enable you to search hashtags and related hashtags based on the popularity of each one. 1. Open Instagram and tap the search icon. Instagram wants you to use hashtags, and has made it extremely easy to find the perfect ones for your post. To start, open the Instagram app on your mobile device and tap the magnifying glass at the bottom of your screen. 2. Tap the search bar at the top of your screen. 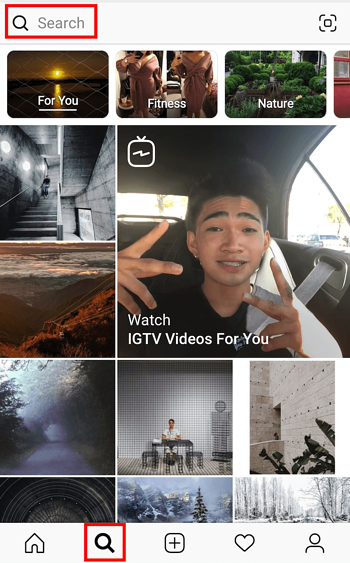 The search screen on your Instagram might first send you to a newsfeed-style page with suggested content based on topics you've demonstrated an interest in on social media. To switch to a hashtag search, tap the search bar at the top of this page, as shown in the screenshot above. 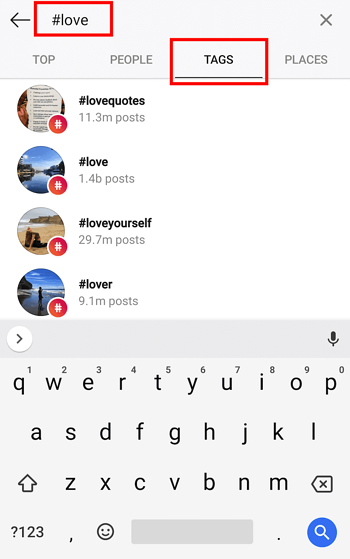 Once you've tapped the search bar at the top of your screen, Instagram will give you four options with which to filter your search. Instagram refers to hashtags as simply "Tags," as shown in the screenshot below. Tap this "Tags" option, then tap the search bar above it, and begin searching topics for which you want to find a trending hashtag. You don't have to include the pound sign (#) in your search -- your results will be the same with or without it -- but you will need to use this pound sign in the caption of your photo once you choose a hashtag. 4. Browse hashtags based on post count and current content. Voila! You should see multiple options for hashtags based on your search. Browse around at each related hashtag that Instagram suggests for you -- you might find that a hashtag with slightly fewer posts includes photos or videos that are more in line with the content you're posting.